We understand that choosing a 3D printer for your primary, elementary or middle school can be a difficult decision. While many will be great for high school students or a hobbyist, some are less suited for regular use in a K-8 classroom, Makerspace or library environment. At Makers Empire, we’ve helped thousands of K-8 teachers in America, Australia, Europe and Asia integrate 3D printing and design into the classroom so we understand what works and what doesn’t. Additionally, the ability to print wirelessly or over the Cloud, thereby eliminating the need for USB memory sticks or even being in the same room as the 3D printer, is another useful feature to consider. The 3D printer market is fast-changing – almost every new 3D printer brings some new feature that will soon be standard on all printers, but none of the current printers on the market has every single one of the current, must-have features. 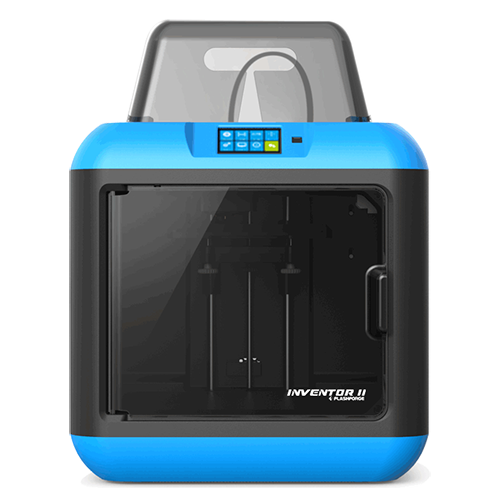 With this in mind, here is our current list of recommended 3D printers. To come up with this list, we evaluated more than twenty 3D printers, reviewed teacher feedback and assessed recent reviews from independent sources. We’ve spent weeks, months and even years testing printers to model expected classroom and school conditions. Tip: hover your mouse or cursor over the features in the first column to display detailed descriptions. This score indicates an assessment of the 3D printer's overall quality. This score indicates an assessment of the 3D printer's reliability to produce consistent prints with minimal issues in a school setting. Reliability is a relative term when it comes to 3D printers: even the most reliable printers we have had require servicing and attention. Maximum printable size as width x depth x height. Enclosed printers have inaccessible moving parts to reduce the risk of possible injury. Air filters remove odour and plastic particles from the air. 3D Printers commonly use HEPA or carbon filters. The printer needs a perfectly level surface for optimal printing. Most printers have assisted levelling to help users mechanically level the print platform. Flex board is ideal for PLA filament. Perforated board is better for ABS filament. Advanced alloy is state of the art and suitable for all materials. Makers Empire sell PLA filament in packs of 500 grams rolls. Touchscreen interfaces are intuitive and easy to use. Scrollwheel interfaces are mechanically operated. Printer features built in camera so you can monitor printing progress remotely. After sales service and support provided by the manufacturer and/or resellers. USB / Wifi / Remote control via the Polar Cloud so you can operate your 3D printer from anywhere. Printing anywhere via a web browser makes it easier to share the printer around the school. Ethernet (via dongle) is great as WiFi in schools is often difficult to get working reliably (due to issues with proxys, security etc). See our review. BUY WITH MAKERS EMPIRE & SAVE! A highly regarded printer. It can print in multiple materials, has an inbuilt camera and can also print wirelessly over the Cloud. Probably best suited to middle and high schools with slightly larger budgets. 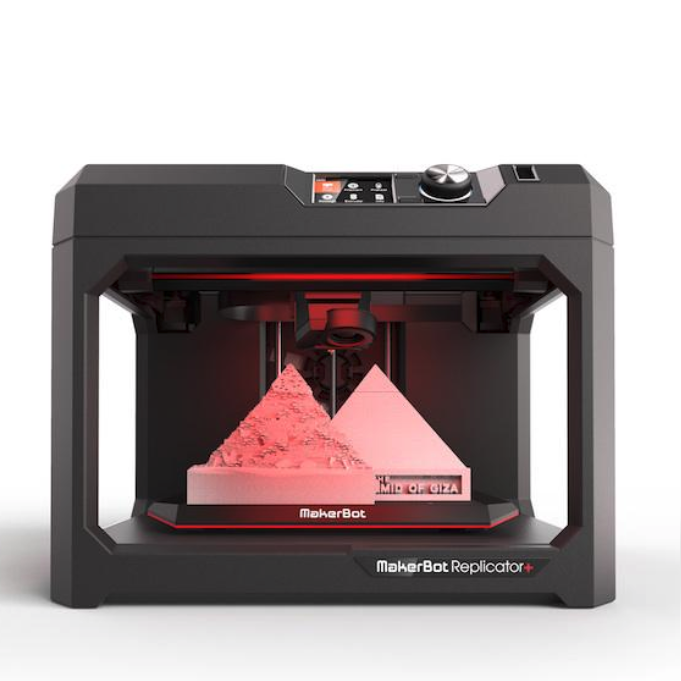 Superior to the Makerbot Replicator for price, product features and customer support. 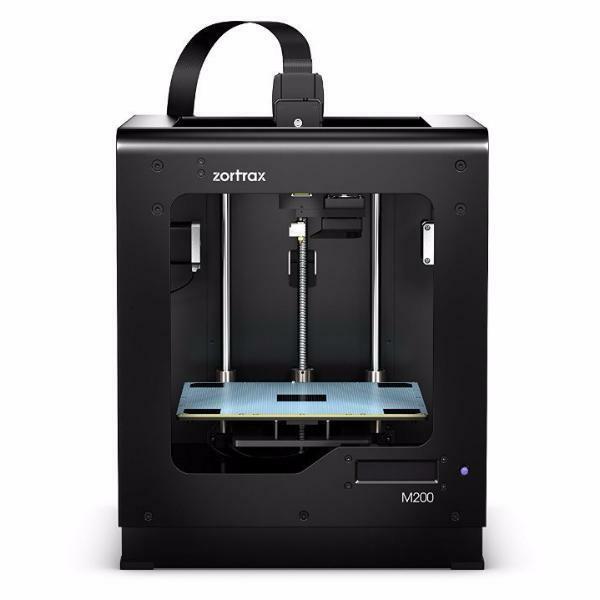 Best 3D printer for this price range. Read our review. 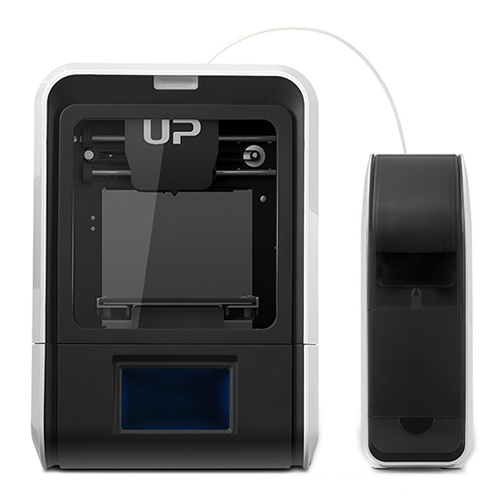 This printer is the updated version of the Up Mini 2, released in the last quarter of 2018. Reliable and affordable printer. Best for portability. For schools, the ethernet connectivity should improve reliability because you're not dependent on wifi. See our review of the previous version here. PLA, ABS, PET-G, Nylons, Polycarbonate, Flexible TPE, Flexible TPU, Magnetic Iron, HIPS, PVA & more. USB / Wifi / Connects to your Wi-Fi network from your mobile device and the Robo app so you can print using the Robo app. A generally reliable printer that produces excellent quality prints. Can be remotely controlled via Octoprint Cloud. Auto levelling eliminates the need for manual adjustments. One thing to note is that the adhesive build surface can be easily damaged and is somewhat tricky to apply to the platform. USB, WiFi, Ethernet and Cloud-enabled so you can control it remotely with MakerBot Print or the MakerBot Mobile app. There are better options if you have this kind of budget. Also, it is not fully enclosed, which is not recommended. The Makerbot Mini is also not recommended as it is an expensive printer given the small build size and low resolutions prints it produces. A real work horse for us - a great, reliable printer, which has recently been updated as the M200+. We've replaced bits and pieces on the M200 model through the years and it keeps going. As this printer works well with engineering plastics and is not enclosed, we think it's better suited to a high school environment. Buying a 3D printer is just the first step when you integrate maker pedagogy and Design Thinking in your school. Which 3D modeling software will your students use? How will teachers learn how to use the 3D printer and 3D design as an authentic teaching tool efficiently and effectively? Which class management tool will you use so teaching with 3D doesn’t become a logistical challenge? How will you ensure teachers can access professional development, resources, training and support they need to become confident and skilled teachers with 3D technology? 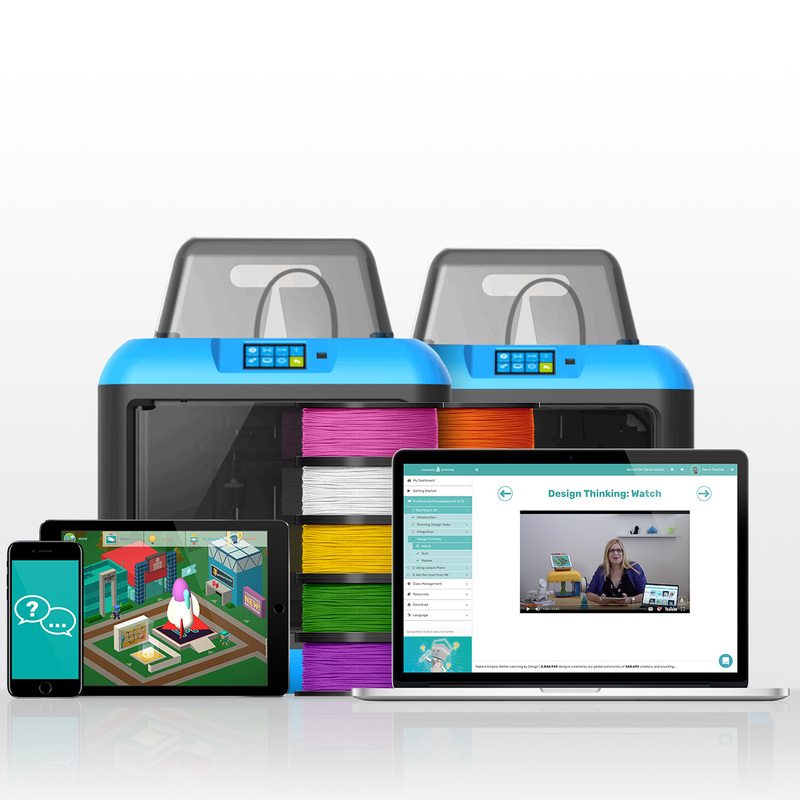 Fortunately, Makers Empire’s 3D Printer Packages include everything teachers need to successfully integrate Design Thinking, maker pedagogy and 3D printing into their teaching practice. Our School Subscription can be bundled together with 3D printers to ensure your school’s 3D printing program is a success. When testing printers for use in elementary and primary schools we prioritise reliability, usability, durability and affordability. The following printers were all good in their own way but would not be our first choice for schools. It’s possible that newer versions of these printers or more technical knowledge amongst teaching staff could make these printers great for schools. BEE THE FIRST (2013): the original version of this printer was problematic – the filament would break in the tube and would require a difficult dismantling. This has probably been fixed now but we haven’t had a chance to try the newer printer. This printer is not enclosed and there is no air filter or LCD touch screen on the version we had. FlashForge Creator Pro (2014): a great printer but more suited to hobbyists/high schools as it has a dual head. This makes it more advanced as it allows for two colours or soluble support but it’s also more tricky to get right. No air filter. Polar 3D (2014): this printer has a unique circular motion build plate. The inbuilt camera is great – you can monitor printing progress from a remote location, which is very helpful. Not enclosed, no air filter or LCD. Makerbot Thing-O-Matic (2011): a classic printer, very DIY. No air filter or LCD. Too dated now. XYZ Da Vinci Jr (2016): quite a cheap printer but filament rolls are ”çhipped’ so you can only use XYZ filament with it. An enclosed printer with basic LCD and no air filter. Up Plus 2 (2013): A classic printer. Very reliable and sturdy, but getting dated now. No air filter, not enclosed, no LCD. Up Box / Up Box+ (2017): We experienced reliability issues with the original Up Box but the newer Up Box+ is much better. Has air filter and is enclosed. No LCD screen. These printers are either discontinued or not recommended for schools. This does not mean that these printers were/are not good printers – it’s just that when we tested them we found them unsuitable for elementary and primary schools. 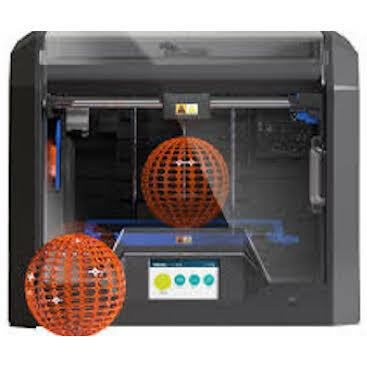 3D Systems Cube 3 – a dual head machine. We struggled to get good prints from it and it has now been discontinued. Makerbot Thing-o-Matic – a great, early printer. Very DIY, however. Discontinued. Printrbot Simple Metal – a good printer but quite DIY. It took us a while to have it set up properly to print well. It’s not enclosed and has no air filter. Now discontinued. Cocoon Create (2018) – for the price, this is a great printer from Aldi supermarket. However, it’s not durable enough for schools. Also, it’s not enclosed and there is no air filter. Creality CR10: A decent printer with big build volume for the price. However, it is not enclosed and there is no air filter. Don’t see a 3D printer listed here that you’re considering? Please contact us for a consultation and expert advice – we may be able to bundle your preferred printer with a Makers Empire School Subscription. Become a Makers Empire school today. You can do it. See for yourself!